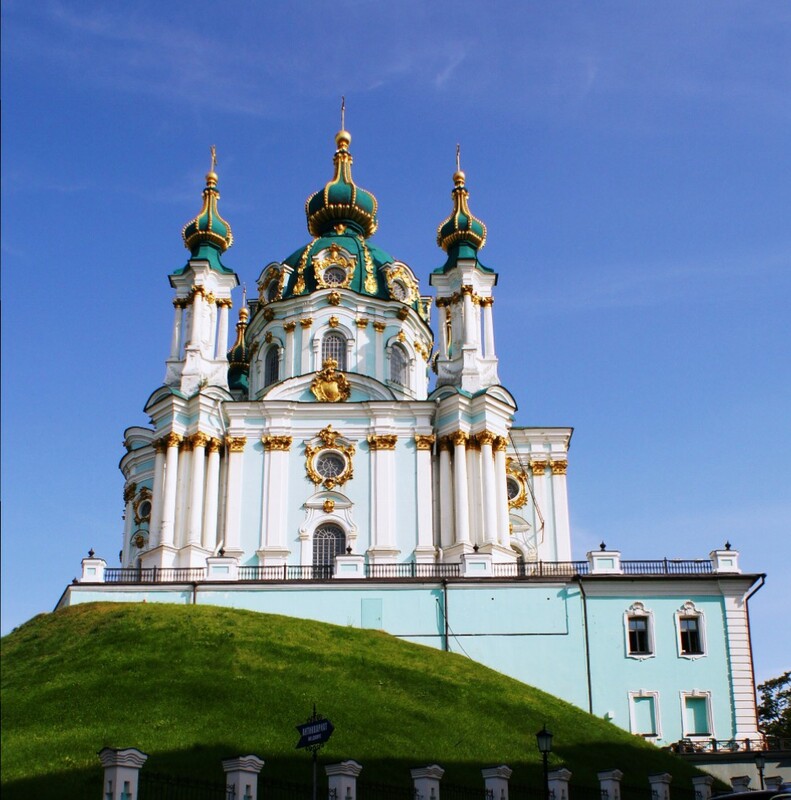 The city of Lviv is in the west of Ukraine and is fantastic. The opera house is now surrounded by carousels and masses of people all out enjoying a great day. There’s a bar in every corner. They all full. All the time. I found one quiet street in the center. 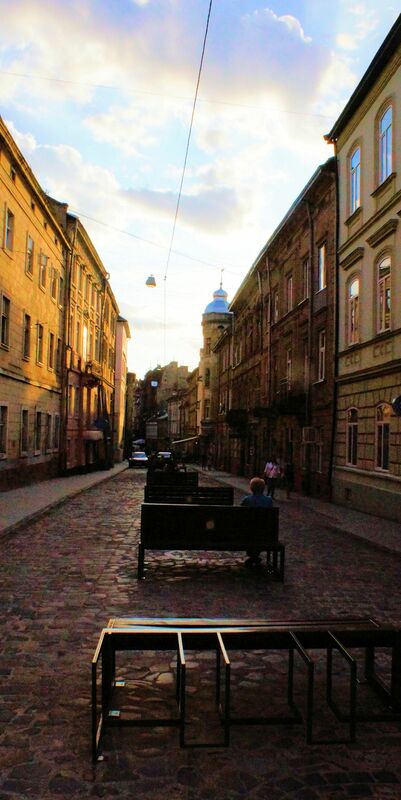 There is a bar/cafe behind me but this street, Lesia Ukrainka, was quite serene in the twilight as compared to the bustle of the rest of the city center. 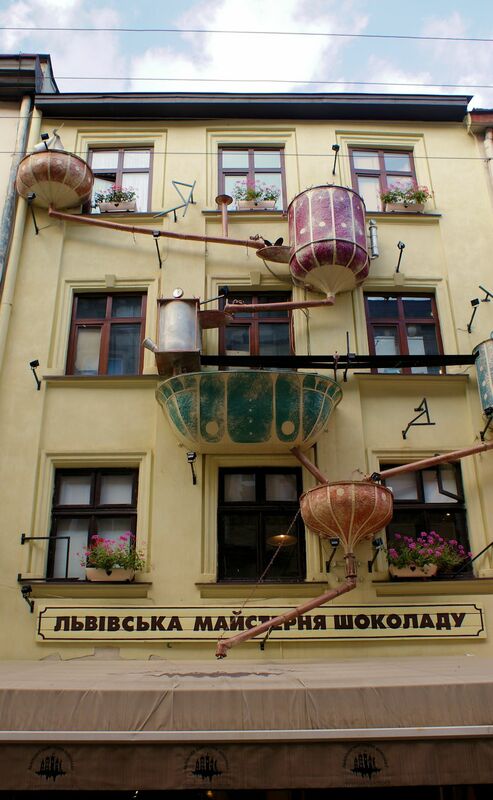 The Lviv chocolate factory that has a cornucopia of handmade chocolate treats. Now here’s a good wine. Here’s a wine that a discriminating wine buff can enjoy. Make no mistake – this is not vin bon. This is very pedestrian wine. Yet it wears its pedigree well. In fact it wears it very well. It is unpretentious. It is refreshing. It has a nice kick. It goes down nicely – whether sipped or gulped. It does not have nasty after-tastes. Most of the Pinot Grigio that I have consumed came from Italy. This Argentinian grape is very much the same. It is a go-to white wine grape. You can get it rather inexpensively or pay a hefty premium. Honestly, I have never tasted or experienced a difference. As we are in the midst of summer this is a great wine for the outdoors. It needs to be chilled so it is better for the backyard/patio/balcony situation unless there is a nice ice filled cooler present. There are many dodgy white wines out there that claim to be refreshing and pleasant. This one is all that. It is also very affordable. This is a strange album. It was released by the United Nations High Commission on Refugees. There is an introduction written by Yul Brynner and a paragraph or two about every song. 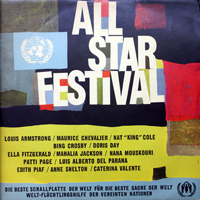 There are some great artists here: Louis Armstrong, Maurice Chevalier, Nat “King,” Cole, Bing Crosby, Doris Day, Ella Fitzgerald, Mahila Jackson, Nana Mouskouri, Patti Page, Edith Piaf, Luis Alberto, Anne Shelton and Caterina Valente. Like all compilation albums there are hits and misses. I like Greensleeves but the version here makes me instinctively look for a remote to hit the ‘next’ button. Alas, vinyl records do not work that way. So I suffer for a few minutes. The same can be said for a few other songs here as well. But there are a couple great gems here. It is worth a listen. I grimaced when I took the first sip of this wine. Not because I took to big of a gulp. Not because something hit me upside the head as I took the swig. I grimaced because this wine shocked me. It was not too good. Sour. Heavy on the sulphites. It was not pleasant. And I loved the other wine in this series. I reviewed it this past February. It was, and most likely still is, a great wine. Here’s the review. Bizarre pairing of grapes? No. I’ve drank plenty of good Cabernet Merlots. A bad year? Why would it be. The other wine was 2012. This is not an excuse. Is this a bad batch? Perhaps. OK. It is used as a clearing agent. But I have not seen this listed on any other wine. Is the concentration here higher than in other wines? This is perhaps the reason why this wine is so disappointing. Nice Emu. Not nice wine. Going from Kyiv to Lviv is always interesting. 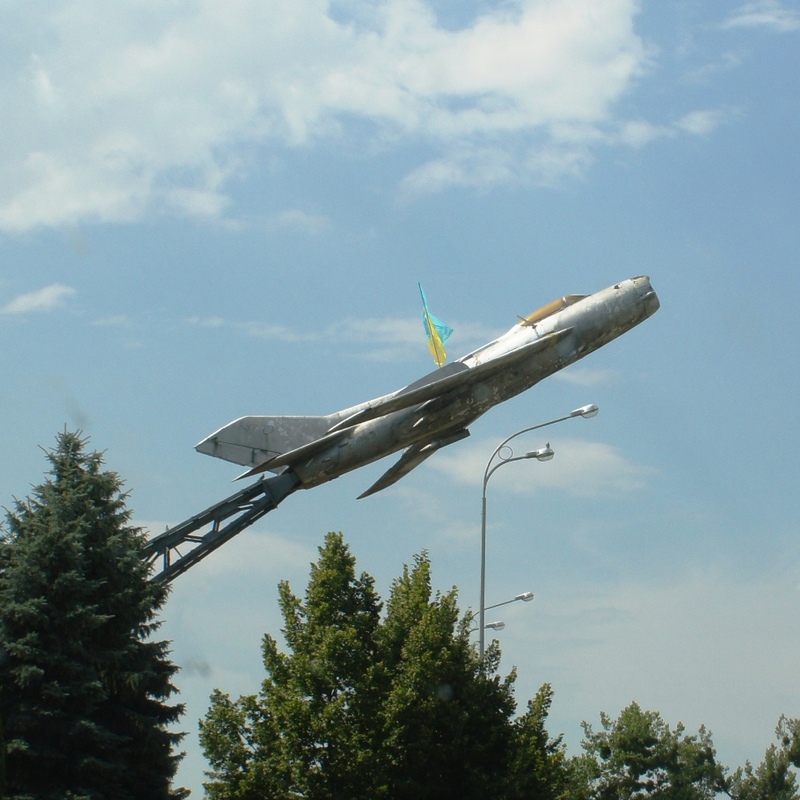 An ex-Soviet warplane decorated with the Ukrainian flag. 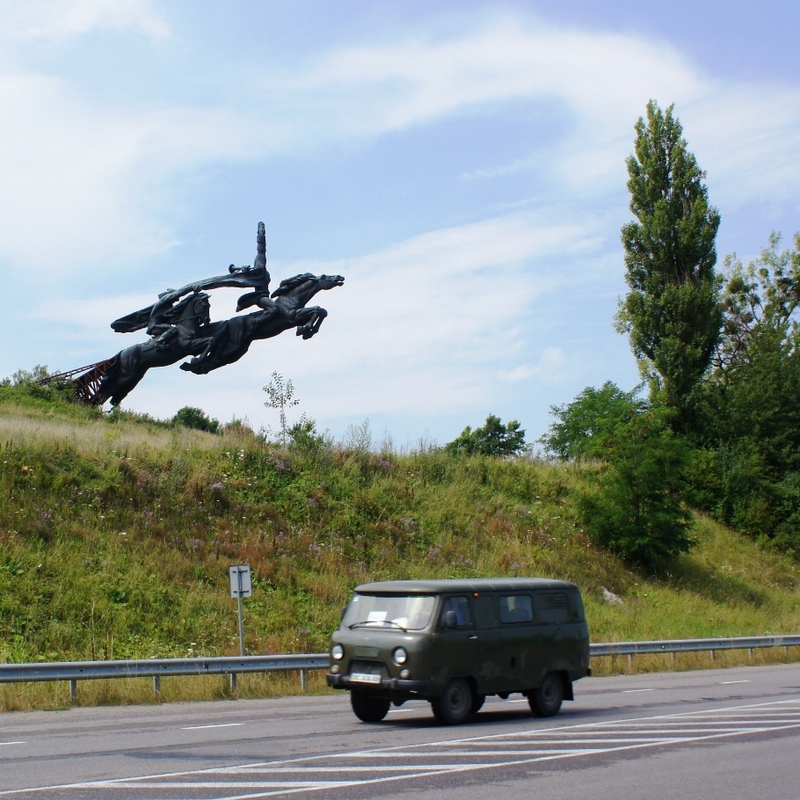 A very cool piece of sculpture and a Soviet era van. Unfortunately the sculpture has been subject to some vandalism. 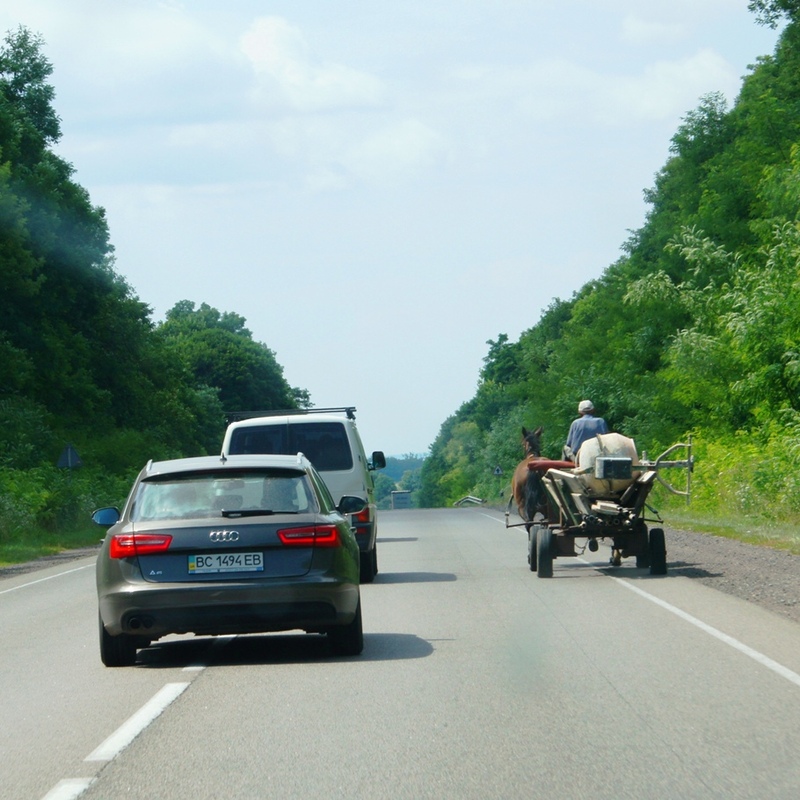 A horse and buggy on the highway. A police woman in red heels working a protest for something. The protest blocked the highway so we drove through a field. This is definitely a trip to hear. Jimi Hendrix live. But this is not just a live compilation of his hits. This was a recording of more or less a one-off concert that Jimi did with different musicians than from the Jimi Hendrix experience. It is more bluesy. More soulful. Less hooky and very much more original. 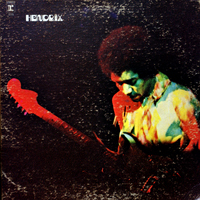 Hendrix’s guitar has always been at the forefront of his music and it really shines here. Since there is less structure to the songs, the guitar is freer – and it really comes across. He makes the guitar sing and snarl. Cry and cringe. Wail and wallop the listener across the ears. There is subtlety in the music as well. It is not just straight ahead virtuoso thrashing. The music surges in waves making the listener wish they could have been at the Fillmore East in New York on New Years Eve 1969-70. The recording exists and we are all the better for it. So the sun is shining and I’m feeling a bit better. 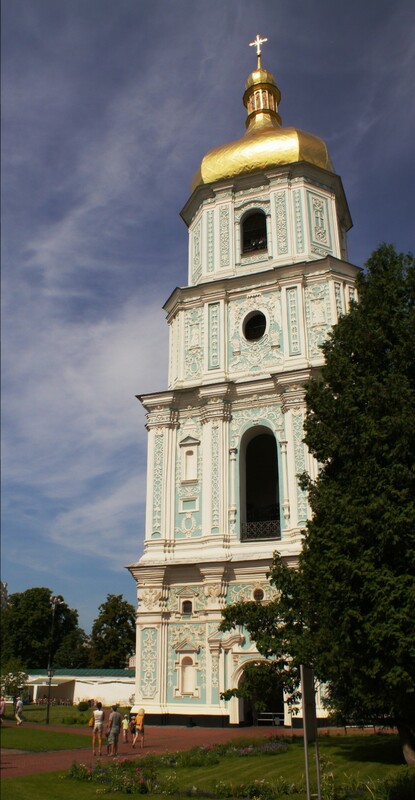 Took a walk around the ancient parts of Kyiv. It was a great day – except for the news from the east.